A judge has dropped all charges against three of the "Extremist Muslims" who were allegedly training children to become school shooters. 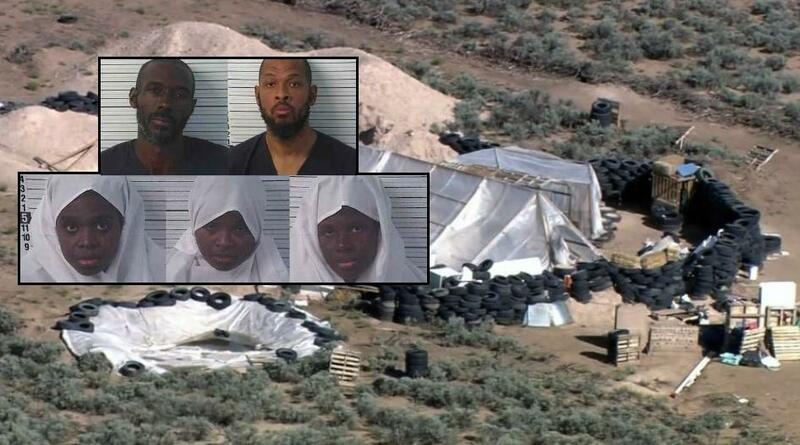 District Judge Emilio Chavez released three of the five defendants Wednesday who were arrested at the New Mexico compound. The group was squatting in the desert of New Mexico where they had built a makeshift compound. Lucas Morton, Subhannah Wahhaj, and Hujrah Wahhaj were released after Judge Chavez found that prosecutors violated the state's "10-day rule" which requires prosecutors to establish probable cause at an evidentiary hearing within 10 days of arrest. Judge Jeff McElroy dismissed the same charges against two fellow defendants Siraj Ibn Wahhaj and Jany Leveille at a separate hearing Wednesday. The pair will remain in jail however due to additional charges filed against them last Friday in connection with the death of a missing 3-year-old boy. Investigators believe the remains of a child found at the compound may be that of the missing boy. Siraj Ibn Wahhaj is the father of the missing boy who was reported missing by his mother shortly before they disappeared and fled to New Mexico. The five adults were arrested on August 3 when authorities raided the compound in New Mexico after nearly a month of searching for the missing 3-year-old boy, Abdul-Ghani Wahhaj. Investigators said at the time of the raid the occupants of the compound were "most likely heavily armed and considered extremist of the Muslim belief." The remains of Abdul-Ghani Wahhaj were positively identified earlier this month as the 3-year-old missing boy found at the compound. Judge Chavez said Wednesday that it was a very difficult decision to drop the charges but he was left with no choice due to the 10-day rule. Prosecutors would have to present additional charges to a grand jury to indict them but there has been no indication of their plans.